Lifetrenz Hospital Management System has a strong and reliable Financial Management module covering the important processes of Billing and Accounts Receivables management. 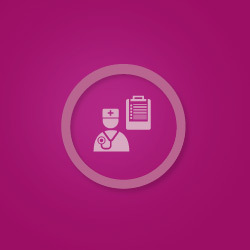 Lifetrenz Hospital Management solution is built on Patient-Centric Business Process Workflows. The advantage of this design is that, all Processes are linked to the services rendered to the patient, right from the time the patient checks in to the hospital to avail any service to the time they check out of the hospital. This end-to-end process oriented design captures all the billable activities for each patient. The Billing process in the Finance Module takes its inputs from the various processes in the Operations and Clinical modules and generates accurate and reliable bills. There is a patient level ledger that is maintained for each patient and the ledger is updated in real time based on the various financial transactions captured for the patient in the system. The ledger can be exported to Excel and pdf formats. While the billing module generates and dynamically updates the patient ledger and shows the Credit or Debit balance against the Patient, the Accounts Receivables Module provides a One-Stop information source to see all the receivables from different payers, at any point of time.